Hettie and her friends are concerned about all the litter that seems to be appearing on the forest floor. 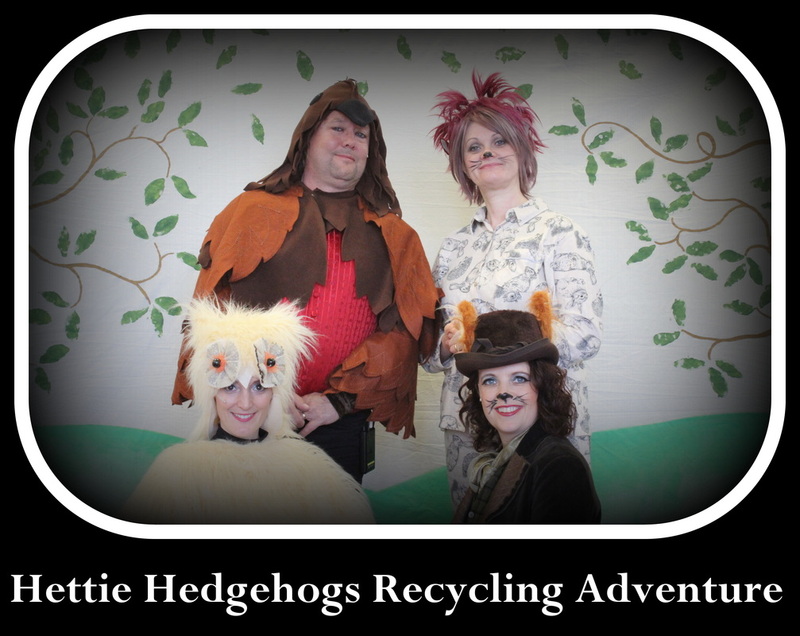 So they have decided to come along and share the important message to Reduce, Re-use and Recycle what we can so we can make the world a cleaner place to animals, plants and man. Hettie wakes to find some litter dropped upon her nice forest floor. She is unsure what it is for so she shows to her animals friends. Do you think I can eat them? Maybe I Should wear then? You are certainly welcome to share them! We help our audience build their communication skills, listening and learning skills and their own self-belief. We make theatre magic – wherever we go. Imajica Theatre Company was created to offer all children the opportunity to have magic in their lives and be able to explore a world of make believe and imagination. Imajica provides a place where children can enter a world of magic, mystery and make believe. A special place where dreams can come true!